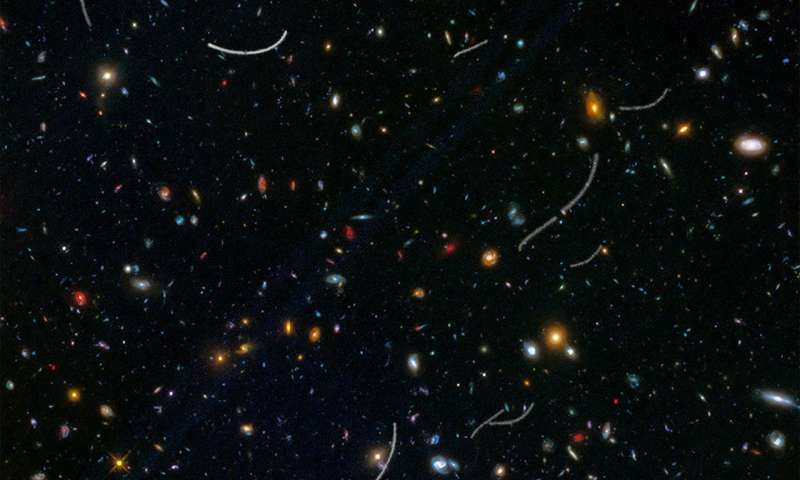 Photobombing asteroids from our solar system have snuck their way into this deep image of the universe taken by NASA's Hubble Space Telescope. These asteroids are right around the corner in astronomical terms, residing roughly 160 million miles from Earth. 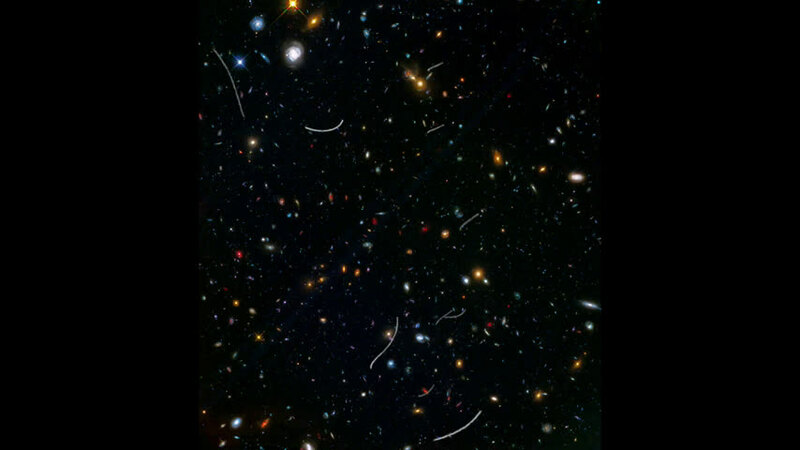 Yet they've horned their way into this picture of thousands of galaxies scattered across space and time at inconceivably farther distances.